Running a business is hard work and nearly impossible without your dedicated and hardworking employees. Engage and congratulate your team this year with personalized years of service gifts. From awards and retirement gifts to desk accessories and promotional gifts we have everything you need to thank your team for all of their hard work. Honor those special people that deserve recognition of their hard work and dedication in a distinguished way with a service award or plaque. 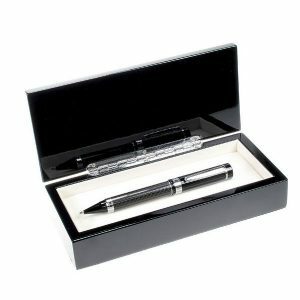 Engrave with their name, position, years of dedicated service and a message of appreciation to really make it special. 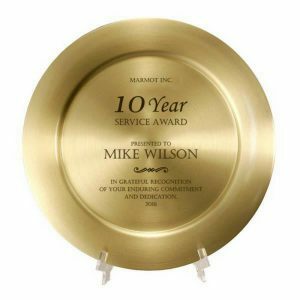 A years of service plaque makes the perfect addition to any office space or desk. Have they met or exceeded sales goals for the quarter or have been the top earner for years? Commemorate their special contribution with a personalized award. 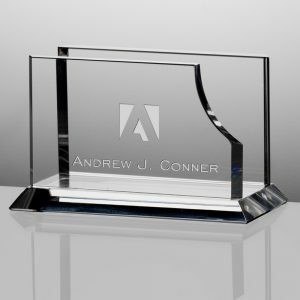 Engrave with their name, company logo and award recognition to really make it something to display with pride! Retirement is a big milestone and for some people, the start of a brand new life! Commemorate and remember their hard work and dedication with a personalized retirement gift. 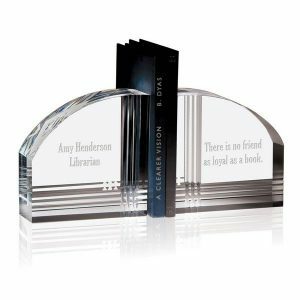 Take a modern spin on the classic set of bookends with these engraved Jade Glass bookends. 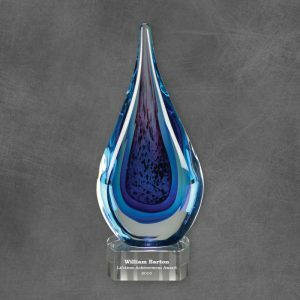 Engraved with the company logo the honorees name and years of service makes a great gift for their home office or mantle. 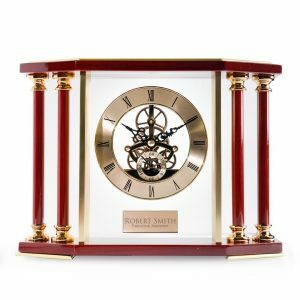 A timeless gift like a personalized mantle clock, a stately reminder of the time and dedication spent. From desk organizers to personalized nameplates, we have everything needed to make your desk professional and organized. Do you know someone that was recently promoted? 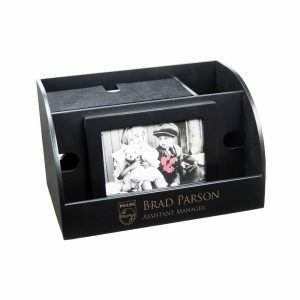 A personalized name plate or desktop business card holder is the perfect gift for their new position. 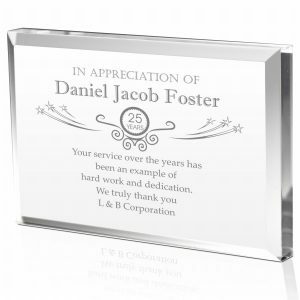 Engrave with the company logo, their name and new title as a thoughtful congratulatory gift. Need to thank someone for a professional favor or bringing new clients in? An engraved desk organizer makes the perfect professional thank you gift! Do you have a team or group of people that helped bring a certain project or vision to life? Remember and commemorate that special project with a special gift! Personalized business card holders or corporate key chains make the best gifts! Engrave with the company logo and name and to truly make it special add individual initials or names. Have a group of individuals that worked to close a big deal? Commemorate that deal signing with a personalized pet set. Engraved with the company logo and name, make it extra special with dates and individual names. With years of business comes years of trials and triumphs. Celebrate the success and ups and downs of business with a personalized business anniversary gift. A personalized anniversary plate or sculpture is a stately gift that can be displayed in the lobby or front office. For a more traditional gift, a large corporate bouquet or arrangement is also an appropriate gift and looks even better displayed in a personalized vase. Years of Service and anniversary gifts are a great way to engage your employees and reach company goals! Thank them for their years of service and dedication with a thoughtful personalized business gift. Avoid those cliché gifts and give them something they will appreciate and use. How do you like to celebrate your company and employees? Do you use luncheons, parties and award ceremonies? Drop your ideas below!